Physical therapists are licensed medical professionals who are trained in diagnosing and treating various physical injuries and illness that affect mobility, cause pain, or both. Therapists develop customized treatment programs for their patients that aim to improve physical function and reduce pain through a variety of modalities. Through physical therapy, patients can regain a normal level of physical functioning and improve their overall well-being. PT can benefit people of all ages, from children to the elderly, and can help to ease the side effects of various medical ailments. Are you wondering if physical therapy can benefit you? Here’s a look at 10 benefits physical therapists can provide. Pain management is probably one of the best-known benefits of physical therapy. Through a combination of therapeutic techniques, such as massage, ultrasound therapy, joint mobilization, or electronic nerve stimulation, and strengthening exercises, physical therapists can help to ease pain or completely eliminate it. PT has proven to be a beneficial form of pain management for a variety of conditions, including fibromyalgia, scoliosis, Parkinson’s disease, cancer, sports-related injuries, car accidents, arthritis, and so many other ailments. Patients who have difficulty with moving can find the help that they need to improve their mobility through physical therapy. There are so many medical conditions that can impact a person’s ability to move, such as stroke, cancer, knee replacement surgery, ALS, and arthritis. Whether reduced mobility is the result of pain, due to a loss in flexibility, or weakness, physical therapists can help patients restore their ability to move through exercises that aim to increase flexibility, restore strength, improve balance, and reduce pain. The intervention of physical therapy during the early stages of certain health conditions can help patients avoid the need for surgery. For example, someone who is suffering from arthritis can avoid having joint replacement surgery, as the therapeutic exercises practiced during PT can help to strengthen the joints, preventing the need for future surgery. Physical therapy can help to improve the rate of recovery for patients who have undergone surgery for certain medical conditions. For instance, PT can aid in the recovery of surgery for a torn meniscus. A patient can learn techniques that will ease the pain that they may experience post-surgery and strengthen the affected area, thereby reducing the amount of time it would normally take to recover from such a procedure. From pee-wee baseball to professional basketball, anyone who sustains a sports-related injury can benefit from physical therapy. Various techniques can be used to reduce complications that occur with such injuries, such as swelling, torn ligaments, and broken bones. Through PT, patients can recover from injuries that are sustained as a result of playing sports at a much quicker rate. Moreover, therapy can help patients avoid being affected by future injuries. It’s not uncommon for individuals who suffer a stroke to experience some loss of function and mobility. With physical therapy, stroke patients can strengthen the parts of their body that have been weakened by this medical condition. They can also improve their gait and balance. With the help of a physical therapist, stroke victims can increase their independence and enjoy a greater sense of normalcy. Managing diabetes requires more than just insulin; it requires daily exercise, which helps to control blood sugar more effectively. During physical therapy, diabetics can learn a variety of exercises that they can use in their everyday lives, thereby allowing them to better manage their blood sugar levels. Furthermore, patients who experience diabetic neuropathy (numbing and tingling sensations in the extremities) can learn strategies and techniques that will help them avoid more serious issues in the future. Regular exercise is vital for the health of the heart and cardiovascular system. Physical therapy exercises can be implemented that target the lungs and the heart, helping patients who suffer from or may be prone to developing cardiovascular diseases, such as high blood pressure and pulmonary edema. There are several conditions that can impact a person’s balance and coordination, such as chronic vertigo and vestibular neurosis. These conditions can make it difficult to execute even the simplest movements, such as walking, which can increase the risk of falls that can lead to a variety of serious injuries. A physical therapist can develop a customized treatment plan that is specifically designed to improve balance and coordination, helping patients move with greater ease and avoid falls. Pregnancy can cause significant physical pain and impact an expectant mother’s ability to move. Increased hormone levels that prepare a woman’s body for childbirth and the added weight of the baby can cause conditions that can be particularly painful and severely limit mobility, such as pelvic displacement. Physical therapy can help soon-to-be moms reduce their pain and help them walk with greater ease. Strength building exercises practiced during PT can even prove to be beneficial for labor and delivery. These are just 10 ways that physical therapy can be beneficial. If you are experiencing issues with pain or mobility and believe that PT would benefit you, don’t hesitate to give us a call! Our licensed physical therapists will perform a thorough evaluation of your condition and design a program that is customized to your specific needs. Don’t let pain or not being able to move as freely as you would like to impact your life! Contact our office today to schedule a consultation with one of our experienced physical therapists. Sleep. It seems like such a simple task, but for many people, it’s often difficult to achieve. A restless mind, an aching body, and just having too much on your plate can make getting the recommended 8 hours of sleep every night a real challenge. If you’re spending your nights tossing and turning, there’s no doubt that you are feeling the effects of sleep deprivation. You’re probably feeling worn out, cranky, aren’t as focused or alert as you would like to be, and you probably hit a mid-afternoon slump that makes you want to crawl up in a ball and take a snooze. Yes, sleep is extremely important for your overall physical and mental well-being. Improved memory and learning. While you’re sleeping, your brain is able to commit the new information that it has acquired to memory via a process that is referred to as “memory consolidation”. Your brain literally stores what it has learned as memories during sleep. Increased alertness. Sleeping gives your central nervous system a much-needed break. While you’re asleep, this ever-important part of your body that plays a part in virtually all functions has a chance to rejuvenate itself, which makes you feel more alert and ready to take on whatever life brings your way. Weight management. It might come as a surprise, but if you aren’t getting enough sleep, the way your body processes and stores carbohydrates can actually be affected. It can also change the levels of hormones that manage your appetite. In short, not getting enough sleep could slow your metabolism and lead to weight gain. Heart health. Sleep is also important for your cardiovascular health. Several studies have found that people who suffer from sleep disorders are more prone to developing high blood pressure and irregular heartbeats (arrhythmia). Stress levels. Your body is better able to manage cortisol (the stress hormone) levels when you sleep. If you aren’t getting enough sleep, you’ll have an increased chance of suffering from heightened stress levels, which could further impact your overall health and well-being. Regulated mood. If you’ve ever found yourself highly irritable or short on patience when you’re tired, there’s a good reason: lack of sleep has a direct impact on your mood. If you aren’t getting enough of it, you’ll be more irritable, impatient, and just moody. Strengthened immune system. Your immune system – the system that’s responsible for fighting off illnesses – needs to have an opportunity to rest, and sleep gives it that opportunity. If you are sleep deprived, your immune system can be weakened, making you more susceptible to various types of illnesses. You might be thinking to yourself, “I want to take advantage of all the benefits sleep offers, but I just can’t seem to fall or stay asleep!” Whether it’s because you are suffering from aches and pains that prevent you from getting comfortable or you have too much on your mind, here are some tips that could help improve your sleep. Exercise! Being physically active is one of the most important things you can do to improve your sleep. Regular exercise can make it easier to fall asleep and stay asleep. It can also improve your quality of sleep. You don’t have to commit to a stringent workout routine, either. Simply taking a brisk walk 20 minutes a day, going for a bike ride, or swimming could make a world of difference in regard to your sleep. Plus, you’ll just feel better mentally and physically, too. Cut back on caffeine. Avoid drinking caffeinated beverages about 4 to 6 hours before your usual bedtime. If you find that you need a pick-me-up in the middle of the day, get up and move! A quick run or even a few rounds of jumping jacks can have the same effect as caffeine, as these exercises can increase the oxygen supply to your brain, making you feel more alert. Establish a bedtime. While on the topic, pick a bedtime – and stick to it. Experts recommend getting 8 hours of sleep a night to reap the full benefits it offers. Curb the electronics. Scrolling through social media, reading emails, and watching TV might seem like a great way to unwind, but these activities can actually stimulate your brain, making it harder to fall asleep. About an hour before bed, eliminate electronics. Instead, reach for a book, do some yoga, or take a hot bath. Create a welcoming sleep environment. Where you are sleeping can have a huge impact on the quality of sleep you are getting. Make sure your room is a cool, yet comfortable temperature. Use pillows that are supportive, yet don’t prop you up too much (that could cause aches and pains), and make sure that your room is dark. These simple adjustments could make a world of difference. If you’ve tried making these adjustments and you’re still having trouble sleeping, or if you are suffering from chronic pain that is making it impossible to get comfortable, physical therapy could be the answer to better sleep. A physical therapist will assess your condition and develop a customized treatment plan that can help to ease your aches and pains, boost your activity levels, and help you get better sleep. If you’re interested in learning more about how physical therapy can be used as a sleep aid, contact our office today! Our therapists will gladly discuss the benefits with you and help you reach your goal of getting a more restful night of sleep. You Think You’ve Sprained Your Ankle! Now What? Maybe you turned your ankle the wrong way while you were rock climbing, or you simply took a misstep off a curb; whatever happened, your ankle is throbbing, swollen, and you feel like you can hardly move it. You’re pretty sure you’ve sprained it. Now what? Here’s a look at some important information that can help you determine whether or not you really sprained your ankle, and if so, what you should. A sprain occurs when ligaments become torn or stretched. The ligaments join bones together at a joint and prevent them from shifting out of place. The ankle is the body part that is most commonly affected by sprains. These injuries can occur when you “roll” your ankle in the wrong direction when you twist it too far, or when the joint is forced from its natural position. Ankle sprains range in severity and categories in different degrees: first, second, and third. Ankle sprains are usually self-diagnosable, but you should seek medical treatment, especially if you believe you have sustained a second or third-degree sprain. A doctor will examine the injury, ask questions about how your injury occurred and may ask you to try to move your ankle or put weight on it. An X-ray may also be ordered to rule out a fracture or a break. Rest. Avoid strenuous activities that put unnecessary strain on your ankle. However, to encourage faster healing, you should try to engage in some mild exercises that to stretch the ligaments. Be mindful though; if you experience any pain, don’t proceed. Ice. Apply ice to the affected area. Doing so can help reduce swelling and pain. You can either fill a bag with ice or apply a cold pack, but make sure that you don’t apply it directly to the ankle; instead, wrap it with a towel. Ice the ankle for no longer than 15 minutes, and do so once every hour. Compression. Wrap an ace bandage around the ankle to stabilize it. The compression from the bandage can also alleviate swelling. Wrap the bandage so that it’s snug, but not too tight that you experience numbness. Elevation. Elevate your ankle so that it is positioned above your heart to reduce pain and swelling. Use a pillow to prop your ankle up as often as possible. If you are experiencing extreme pain, try taking an over-the-counter pain reliever, such as aspirin or acetaminophen. Will a Brace or Cast be Necessary? Typically, a cast is not necessary for an ankle sprain. However, if the sprain is severe, if you have injured your ankle in the past, or if you have any underlying health conditions that could impact healing, a brace may be recommended. A brace will stabilize the bones and ligaments, preventing them from moving and providing an extra layer of protection. It can also help to alleviate pain and reduce the time it takes to heal. There are several types of braces that can be used to treat an ankle sprain. These braces usually feature a padded interior and a hard exterior. If your sprain is severe, putting weight on it will be quite painful. Crutches will allow you to move around without putting excess strain on the injury and worsening it. Your doctor or a physical therapist can provide you with crutches, but make sure that they are made of durable material, that they are fitted to your height, and that they offer padding for your hands and under your arms. When you can resume normal activities depends on the severity of your sprain. In first degree cases, your doctor may suggest you start using it a few days after the injury. If it’s more severe, you may be off your foot for several weeks. Make sure you have clearance from your doctor before you start using it and that you use extreme caution. Putting too much strain on the ankle after a sprain could increase the risk of another, more severe injury. Once an ankle has been sprained – particularly if the sprain is bad – you are at an increased risk of injuring it again. The damaged ligaments have been weakened, which makes you more susceptible to future strains and sprains. To avoid re-injuring your ankle, it’s important to practice strengthening exercises. A physical therapist can devise a customized treatment plan to strengthen your ankle and reduce the risk of future injuries. If you have sprained an ankle, it’s important to take care of it. Dismissing the injury or using it before it has fully healed can lead to more severe and painful injuries down the road. Our physical therapists can provide you with all of the tools and education that you need to speed up your recovery and ensure that your sprained ankle heals the right way. Contact our office to set up a consultation today! We’ll be more than happy to assist you! Neck pain is something that most people deal with at one point or another. Since this part of the body contains so many tendons, ligaments, and muscles, and all of those components are used on a constant basis, it’s no wonder why neck pain is so common. Neck pain can range from moderate to severe, and it can last for a short period of time or it can be chronic. It can also be the result of an underlying condition, or you might simply find that you wake up one morning with pain and stiffness. Whatever type of pain you are experiencing and whatever the reason, there are certain things that you can do to reduce your discomfort. Here are some tips that can effectively help you alleviate the pain in your neck. A tremendous amount of strain can be placed on your neck while you’re sleeping. Your neck supports the weight of your head and upper body, which means that the muscles, ligaments, and tendons are hard at work even when you’re asleep. If you are frequently waking up with a stiff neck, the problem could be your pillow. It might not be providing you with enough support. Look for a pillow that is designed to support the natural curve of your neck. Also, keep in mind the position that you sleep in the most. For example, if you are a side sleeper, try a pillow that is specifically designed to support your neck while you’re lying on your side. It might take some trial and error, but once you find the right pillow, you should see a significant decrease in those stiff necks in the morning. If it’s possible, try to sleep on your back. This is the ideal sleeping position, as it allows your spine – including your neck – to be positioned in the proper alignment. If you are a stomach or side sleeper, you’re placing unnecessary strain on your neck, as it isn’t being held in a natural position. If you find that back sleeping isn’t comfortable, try sleeping in a slightly inclined position to see if it makes any difference. Once you get used to sleeping on your back, you should experience less neck pain. If you spent a lot of time sitting in a chair at the office – or anywhere else, for that matter – it could be contributing to your neck pain. Believe it or not, the position you sit in can put extra strain on your neck. For example, you might be sitting in a way that throws off the natural alignment of your spine, which could cause neck pain. An ergonomic chair is designed to hold your spine in a neutral alignment; it accommodates the natural curve of your entire spine. By sitting in this type of chair, you could see a significant improvement in your neck discomfort. Many people who look at computer screens for long periods of time end up developing neck pain. That’s because the screen may not be in a position that allows for optimal viewing. For example, it might be set to low or too high, or it could be set too far away from you. If the computer screen isn’t properly positioned, you’re going to end up holding your neck in an awkward position to view it. Something as simple as raising or lowering the monitor of your computer could make a huge difference in the way your neck feels. Sitting for extended periods of time can contribute to neck pain. This is especially true if you are sitting in the same position, our shoulders are hunched, and your feet aren’t placed flat on the floor. For example, if you sit in a recliner a lot, or you tend to cross your legs, your neck could suffer. Try to sit as straight as possible without slouching or holding your head in a way so that it’s pushed forward, and keep your feet on the floor. Take breaks as much as you can. Stand up and stretch the muscles in your neck. Simply rotating your head in a clockwise and counterclockwise fashion a few times can alleviate some of the strain on the soft tissues in your neck. If your neck pain is chronic or severe, scheduling an appointment with a physical therapist might be in your best interest. A PT will accurately diagnose the source of your pain and develop a customized treatment plan that can strengthen your neck and alleviate your pain. Treatment might include any number of modalities, including exercises, massage, ultrasound therapy, the application of hot and cold packs, or electronic nerve stimulation. By following these tips, you can ease your current neck pain and prevent it from occurring again in the future. To learn more about treating pain in your neck or to schedule a consultation for physical therapy, please contact our office at your earliest convenience. Our staff of professional physical therapists can help you find the root of your neck pain and treat it. From sports-related injuries to arthritis, and even overuse of the muscles that surround the knee, there are so many reasons why pain can develop in the knees. It makes sense too, as the knees are among the most frequently used joints and support virtually all of the body’s weight. In other words, your knees can take a real beating. 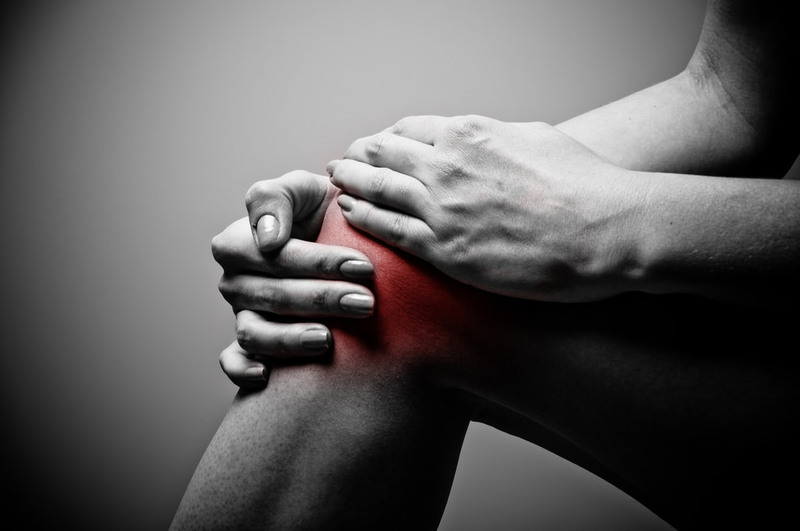 No matter what the cause, chances are that your knee pain is causing you a significant amount of discomfort. It might also be limiting your mobility and impacting your everyday life. While it is undoubtedly troubling, don’t lose hope; there is a way that you can ease your pain, and it doesn’t require surgery or medications. How? – With physical therapy. Perhaps your doctor has referred you to a physical therapist for the discomfort in your knee, or maybe you have decided that you want to see a PT on your own to ease your pain. In either case, you might be wondering what to expect at your first appointment. Palpation. The PT will use his or her hands to feel the structures that surround the knee. Through palpation, the therapist can feel if any abnormalities exist and determine if the pain you are experiencing occurs when a particular structure is touched. Evaluation of your gait. During this part of the exam, your therapist will assess how you are walking. As you walk, he or she will look for any changes in the motion of your knee. You will be asked to walk in different directions, at different speeds, and in different positions. Range of motion assessment. This assessment will help a therapist gain an understanding of how far you can bend or straighten your knee. 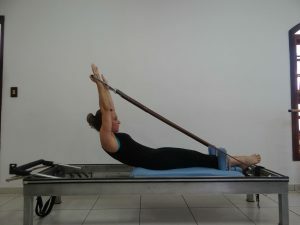 Tools may be used to measure your range of motion. Balance evaluation. If your balance is askew, you could be placing excessive strain on your knee, which could be the cause of your pain. Measurement of your strength. Several muscles are attached to and surround the knee. A measurement of your strength can help pinpoint if weakness in these muscles are causing your discomfort. Swelling assessment. A therapist will look for any swelling around the knee. If swelling does exist, he or she will determine its extent. Your physical therapist will use the information that was collected during your initial appointment to devise a treatment plan. Your treatment will be customized to meet your specific needs, reduce your pain, and if your mobility has been impaired, restore the function of the knee. Exercise. No matter what is causing your pain or how severe it may be, exercise will likely be the primary modality used during treatment. Exercises can strengthen the muscles and ligaments that surround the knee, which can help reduce pain. You’ll likely complete exercises during your visits, as well as at home. Your physical therapist will provide guidance to ensure you are completing the exercises properly and offer information that you can use to make sure you are performing exercises properly at home. Your progress will be monitored at each appointment to determine the effectiveness of your exercise program. Electrical nerve stimulation. This type of therapy can help to reduce the pain in your knee. It involves attaching electrodes to the area, which are connected to a battery powered device. The device delivers a low voltage of electrical current to the nerves surrounding the knee, which can block pain. Heat and ice therapy. Heat can ease the pain, and ice can reduce any swelling that may be contributing to your pain. Typically, heat is applied prior to exercising, and cold is applied after exercising. Massage therapy. Your therapist may also use massage therapy as a way to reduce your pain. Through massage, the tissues, ligaments, and muscles that surround the knee can be manipulated to improve their flexibility, thereby reducing pain. Ultrasound therapy. This type of therapy provides deep heating that can improve circulation in the soft tissues that surround the knee, including the tendons, muscles, ligaments, as well as the joint itself. It also puts energy into the knee, which creates microscopic gas bubbles that surround the tissues. These gas bubbles rapidly expand and contract, speeding up the cellular processes and improving the rate of healing. By using a combination of these modalities, your knee pain can be significantly reduced or completely eliminated. Moreover, the function of your knee can be improved. Your physical therapist will determine which modalities will best suit your specific needs and incorporate them into your treatment. The knees are one of the primary joints in the body. They allow you to walk, run, climb, and even sit and stand. If your knees are in pain, your activity levels can be significantly reduced, which can impact your overall health and well-being. If discomfort in your knees is impacting your life, it is in your best interest to speak to a physical therapist. If you’re suffering from chronic pain or your mobility has become limited, a physical therapist can provide the treatment you need to help you start feeling and functioning normally again. Physical therapists device treatment programs that are customized to each patient’s specific needs and treatment often include therapeutic modalities. These modalities are used alongside exercise and manual treatment methods to minimize pain, assist the healing process, and restore functional mobility. There are various types of modalities that can be used in physical therapy. While those that your therapist may choose to include in your treatment program will be based on your particular situation, here’s a look at some modalities that are commonly used. More commonly referred to as TENS, this modality involves using a low-voltage electrical current to relieve pain. With this modality, electrodes that are attached to a small battery operated machine are applied to the affected site. When the machine is turned on, a low electrical current passes through the electrodes and is delivered to the nerves. For many patients, this electrical current helps to reduce pain. The electrical current activates the nerves in the affected area and transmits signs to the brain that block pain signals. The electrical stimulation may aid in the production of endorphins, the body’s natural painkillers. TENS therapy is used to treat many types of pain, including chronic back pain, pain caused by an injury, and fibromyalgia. This form of treatment involves using a topical medication and ultrasound. The medication is applied to the skin and ultrasound waves are used to facilitate the passage of the medication through the skin and into the injured area. This modality is commonly used to treat inflamed tendons, ligaments, and muscles, as it helps to ease the inflammation so that the body can begin healing itself. Phonophoresis is often used for the treatment of bursitis, tendonitis, and arthritis, though it can be used to treat any condition that involves inflammation. You’ve probably used ice packs yourself to treat swelling. They are a modality that is commonly used in physical therapy, too. During ice therapy, packs that contain frozen gel are applied to the area that requires treatment. The cold temperature helps to reduce blood flow to the affected area, thereby reducing inflammation. Ice therapy is often used after therapeutic exercises to prevent swelling. With this therapy, moist hot packs are wrapped in towels and applied to the area that requires treatment. The heat helps to relax tight muscles and tissues. It also increases circulation. Heat therapy can help to ease pain, prevent spasms, and improve muscle elasticity. Heat therapy is a physical therapy modality that is commonly used to treat muscle strains and spasms, as well as arthritis. During ultrasound therapy, a physical therapist moves a transducer (a handheld instrument) over the injured area. The transducer delivers ultrasound waves to the affected site. These ultrasound waves deliver deep heating to the muscles, tendons, ligaments and other soft tissues. This helps to increase circulation, which can help to speed up the rate of healing. Ultrasound therapy also delivers energy to the affected area, which causes the development of tiny gas bubbles around damaged tissues, allowing them to quickly expand and contract. This process is referred to as cavitation, and it is believed to enhance cellular processes allowing for better healing. Ultrasound therapy is used to treat a variety of conditions, including frozen shoulder, tendonitis, bursitis, strained muscles, and damaged ligaments. Which Modality is Right for You? That depends on your specific condition. Your physical therapist will perform a thorough evaluation to gain a better understanding of your injury and how it is impacting you. Based on your evaluation, as well as your specific goals, your PT will determine which therapeutic modality is best suited for your particular needs. 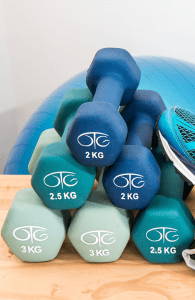 Do Physical Therapy Modalities Hurt? Again, this is specific to each individual. Your injury, coupled with your tolerance for pain, will determine whether or not you will experience any discomfort. Therapeutic modalities are intended to minimize pain; however, there is a chance that you could feel slight discomfort initially. However, with repeated used and as your body begins to heal, any discomfort (which is generally mild) will subside. If you do experience any pain and you’re concerned, speak to your therapist. Therapeutic modalities shouldn’t cause a significant amount of discomfort. If yours does, adjustments might need to be made, or another method may need to be used. The modalities that are used in physical therapy aim to ease pain, restore functional mobility, and facilitate faster healing. When used in conjunction with other therapies, such as exercise, they can significantly improve your recovery time. Whether you’re suffering from chronic back pain or you have sustained an injury, physical therapy can work wonders. However, you might be feeling a little nervous about your first appointment because you aren’t quite sure what to expect. You are probably wondering what will happen during your initial visit and if there is anything you should do to prepare yourself. Physical therapy can not only help to restore your mobility and ease your pain, but it can also be wonderfully calming, improve your self-esteem, and boost your overall well-being. To help ensure you get the most out of your experience, here’s a look at some important information that will help prepare you for your first visit. Your initial visit with a physical therapist will begin with an evaluation. During this evaluation, your therapist will go over your medical history and ask you questions about your condition. You’ll be asked if you are experiencing any pain, and if so, how severe the pain is. If you’re having issues with mobility, your therapist will want to know to what extent. A therapist will also inquire about your injury or illness, including how and when it occurred, and if your condition has worsened over time. Be sure to bring any pertinent medical records with you. The more information your therapist has, the better he or she will be able to understand your condition. After your PT discusses your condition with you and reviews any medical records, he or she will conduct a physical examination. Your therapist will measure the impairments that are contributing to your issue or that may be impacted by your injury or illness. Your therapist should clearly explain each test and let you know their purpose. You should also be provided with instructions so that you know what to expect and what you should be doing. You’re going to be doing a bit of moving during your first session. With that said, you want to make sure you wear comfortable clothing that’s easy for you to move in. You should also wear clothing that will allow your therapist to easily access the affected site. For example, if you are having problems with your knee, consider wearing shorts or loose-fitting pants that can easily be pulled up so the therapist can get a good look at the area. If you aren’t sure what to wear, call before your appointment and ask. Also, keep in mind that most physical therapy clinics offer changing rooms, so if you are coming from work, you can change your clothing once you arrive. Don’t be afraid to ask questions. 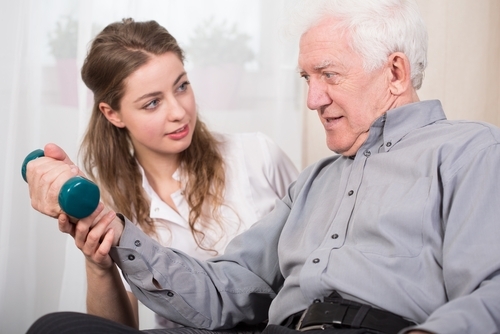 You want to develop a good relationship with your physical therapist. This individual is there to help you, so he or she will gladly answer any questions that you may have. If you are feeling embarrassed about certain questions, remember that these healthcare professionals work with countless patients and have ample experience; they aren’t going to pass any judgment. Also, since you will be working with this person for a prolonged period of time (the length of time will depend on your specific condition), you want to make sure that you feel comfortable. Asking questions is one of the best ways to develop a great rapport with your therapist. Once your evaluation and physical assessment have been completed, the physical therapist will have a pretty good idea of what type of treatment you will need. Depending on your case, you may begin getting to work right away. Your PT may decide to start using certain modalities, such as hot and cold therapy, massage, electrical nerve stimulation, or ultrasound. These modalities can help to manage your pain and improve the function of your muscles and joints, preparing you for your next appointment. Once your first appointment has ended, your PT will provide you with important information. You will likely receive instructions related to things that you should be doing at home, such as exercises, and what you should expect during future sessions. You will also probably be given a document that highlights important information, such as illustrations of exercises that you can start doing at home. You might also be given some equipment to take with you, or at least have recommendations for equipment that you can purchase to use at home. Don’t forget to discuss your future appointments, including scheduling them. You want to make sure that you create a cohesive schedule and one that works for you so that you can get the most out of your therapy sessions. Your appointment with a physical therapist is the start of your journey toward recovery. Make sure you go into it with an open mind and be ready to take advice and ask questions. Together, you and your therapist can reduce your pain, improve your mobility, and help you achieve whatever other goals you may have. Osteoarthritis: A degenerative condition that progresses over time, this type of arthritis can affect any joint, but most often, it affects the hips, knees, neck, back, fingers, and toes. Years of wear and tear on the joints can cause osteoarthritis. Infections and injuries can speed up the development of the condition. Rheumatoid arthritis. An autoimmune disease, with this type of arthritis, the immune system views the tissues of the body as a foreign substance and attacks them. Rheumatoid arthritis attacks impact the soft tissue in the joints, which can eventually destroy the cartilage and bone. Whatever kind of arthritis you have and no matter which part of the body is affected, one thing is certain: you are experiencing discomfort. The pain and stiffness that is associated with arthritis can be unbearable. It can limit your mobility, too. In general, this condition can be all-consuming and impact your quality of life. Unfortunately, there isn’t a cure for arthritis, and while medications can help, they can come with a host of side effects; not to mention the fact that you can become dependent on them. There is a way that you can manage the pain, restore your mobility, and improve your quality of life. How? – With physical therapy. There are various tactics that can be employed in physical therapy to manipulate the damaged joints, making them more mobile and reducing your pain. Exercise. A physical therapist will teach you how to do certain exercises that specifically aim to strengthen the damaged joints, thereby alleviating stiffness, reducing pain, and increasing your ability to move. Massage. A therapist can massage the joints and muscles that are affected by arthritis to release tension, soothe pain and improve your range of movement. Massage is also just a great way to improve your overall well-being. Heat and ice treatments. The application of heat and ice can reduce inflammation in the joints, which can help to ease pain and stiffness, making it easier to move the parts of the body that are affected by arthritis. Electrical nerve stimulation. Mild pulses of electricity can be applied to the areas that are affected by this condition. This stimulation has been proven to provide temporary relief for pain. Diathermy. A specific type of heat therapy, diathermy uses radio, ultrasound or microwaves to heat up the tissues located within the affected joints. This heat kills the damaged cells that are causing your pain, thus reducing the symptoms that are associated with arthritis. Restore mobility. The stiffness and pain that is caused by arthritis can make it difficult to move the affected joints. Physical therapy can help to increase flexibility, improve strength, and reduce pain, which will make it easier to move the damaged joints. Ease pain. As mentioned, physical therapy can help to alleviate the pain that is associated with arthritis. This will not only help to preserve the use of the affected joints, but it will also improve your quality of life. Education. You’ll learn valuable information about your specific type of arthritis. In order to better manage your condition, it is important to be well-informed. A physical therapist can teach you how to properly care for your body to reduce the stiffness and pain you are experiencing. For example, you can learn about certain dietary recommendations that might be helpful, or find out about or receive products that can support the affected area, such as a brace for your knee or insoles for your shoes. You’ll also learn how to conduct strategies on yourself at home between treatment sessions, which will allow for greater pain relief and mobility. Reduce the need for surgery. For some arthritis patients, surgeries are recommended to restore joints that have become extensively damaged. Physical therapy can help to reduce the need for surgery. Physical therapy has proven to be a highly effective method for treating arthritis symptoms. If you are suffering from this condition, contact our office to set up a consultation with one of our therapists today. We will conduct a thorough assessment of your condition and device a treatment program that will be customized for your specific needs with the goal of reducing your pain and improving your movement. Our physical therapists have worked with countless arthritis patients and have delivered favorable results. To find out how we can help you, call us today! Your comfort and well-being are our top priority. Suffering from Chronic Back Pain? Physical Therapy Can Help! You’ve been suffering from back pain for longer than you care to remember. Some days can cope with the pain, but others, it’s downright debilitating and getting up off the couch is impossible. You don’t want to rely on medication, and while surgery may help, it’s the last thing you want to do. You can’t help but wonder if you are fated to a life of pain. The good news is there is a way to reduce our chronic back pain, improve your mobility, and get your life back. There aren’t any medications or surgeries involved, either! No, we’re not talking about a miracle (though you might find it to be quite miraculous); we’re talking about physical therapy! Physical therapy has successfully helped people of all ages and with various types of injuries, illnesses, and medical conditions that cause pain or limit mobility regain their physical abilities and get their lives back. Often, primary care doctors recommend physical therapy for chronic back pain. Unlike surgery, it’s non-invasive, and unlike medications, it isn’t habit forming. If your healthcare provider has suggested physical therapy for your back pain and you’re wondering how it will help you, keep on reading to learn more. Active Therapy. Active therapies refer to any treatments that the patient is actually involved with. In other words, the patient participates in the therapy. Exercises that aim to strengthen the muscles and joints in the back and learning more efficient ways to move in order to reduce pain are used in active therapy. Rest might also be considered active physical therapy for back pain, as the patient must actively choose not to participate in certain activities. The self-application of passive therapies can also be considered an active form of therapy, as patients must execute things like massage or electrical nerve stimulation on themselves. Usually, a combination of both passive and active physical therapy is used to treat chronic back pain. Reduction or Elimination of Pain. Without a doubt, one of the most troubling things about chronic back pain is the discomfort it causes. The combination of passive and active therapies can strengthen the muscles and joints in the back and teach you how to move properly, which can reduce or completely eliminate your pain. Increased Mobility. The pain you are experiencing has likely limited your mobility. For example, you might be having trouble bending, walking, lifting, standing up, sitting down, or moving from side-to-side. Your physical therapist will apply treatments and teach you exercises that will reduce your pain and strengthen your back, which will restore your mobility. Avoid Surgery. If physical therapy helps to significantly reduce your back pain and improves your mobility, there is a very good chance that you could avoid having surgery. If surgery is still needed, participating in physical therapy beforehand will aid in your recovery, minimizing your pain and helping you heal quicker. Improved Well-Being. When you are in pain all the time and your movement is limited, there’s no doubt that your happiness and quality of life are impacted. The reduction or total elimination of pain and the ability to move freely and confidently will allow you to enjoy a significant improvement in your overall well-being. Before actual physical therapy begins, you will meet with a therapist for an intake assessment and a physical evaluation. You will be asked specific questions about your condition. A therapist will also go over any medical records to determine if a specific condition is causing your pain, and if so, the role that condition is playing in your discomfort. You will receive a physical examination. Your back will be examined and you will also be asked to perform certain tasks so that the therapist can see, first-hand, the impact of your back pain. The physical therapist will use the information that is acquired during your intake assessment and physical exam to create a treatment plan that will be customized to your specific needs. Since every patient is different, an individualized therapy plan is important. Your plan will include therapies that aim to improve your pain and restore movement. Once a course of action is devised, you and your therapist will begin treatment. The duration of treatment, including the length and number of sessions, will depend on your specific case. Your therapist will perform evaluations throughout treatment to determine your progress. If your doctor has recommended physical therapy for your chronic back pain or if you think it is an option that could help you, give us a call today. We will be happy to meet with you and discuss how we can help minimize your pain and most importantly, restore your life.